BRETT Knight was a busy truckie ready to deliver groceries to Woolworths supermarkets in Townsville when Big Rigs saw him on February 13. 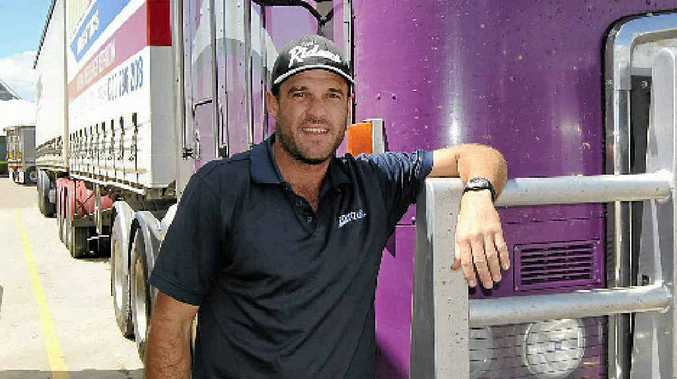 Brett, 37, drives a Kenworth 104B for Brisbane-based Exodas. "It has been so hectic getting groceries up here after the roads were closed in central Queensland due to floods," he said. The Kenworth is powered by a Cummins Signature 620hp motor and has automatic transmission. When he gets time off, Brett enjoys fishing around Caboolture, and I asked whether he caught many. "Not much except the odd cod. I do get a few bream and flathead but don't eat fish, so I release any. I am also doing up several small boats," he said. His favourite roadhouse is the Little Topar near Broken Hill.